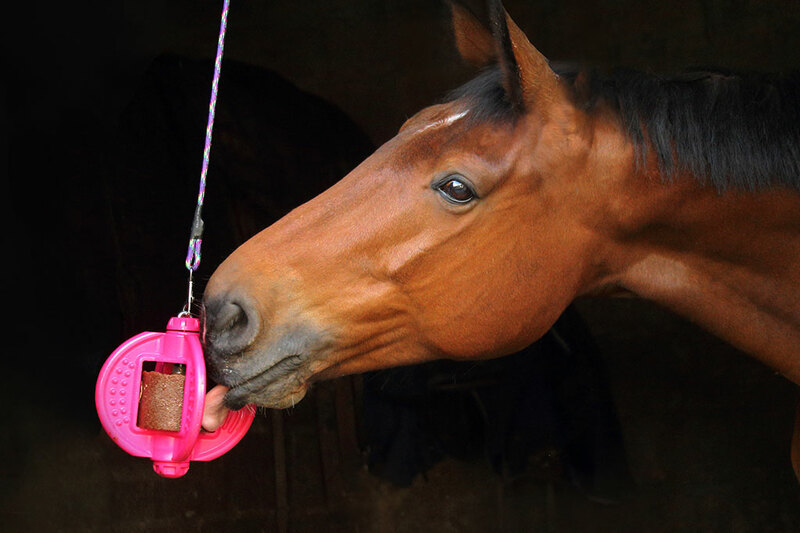 3-IN-1 Multi-functional toy with innovative aromatherapy sponges to keep your horse Bizzy. Our toy benefits from our unique aromatherapy sponges to keep your horse Bizzy. Our Bizzy licks last an average of five days and are available in three delicious flavours. 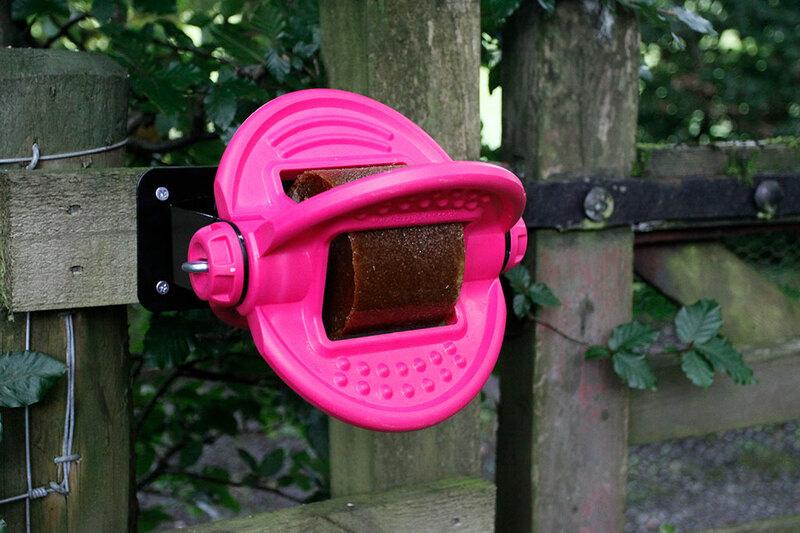 INNOVATIVE, MULTI-FUNCTIONAL HORSE TOY DESIGNED TO KEEP YOUR HORSE BIZZY IN THE FIELD OR STABLE. 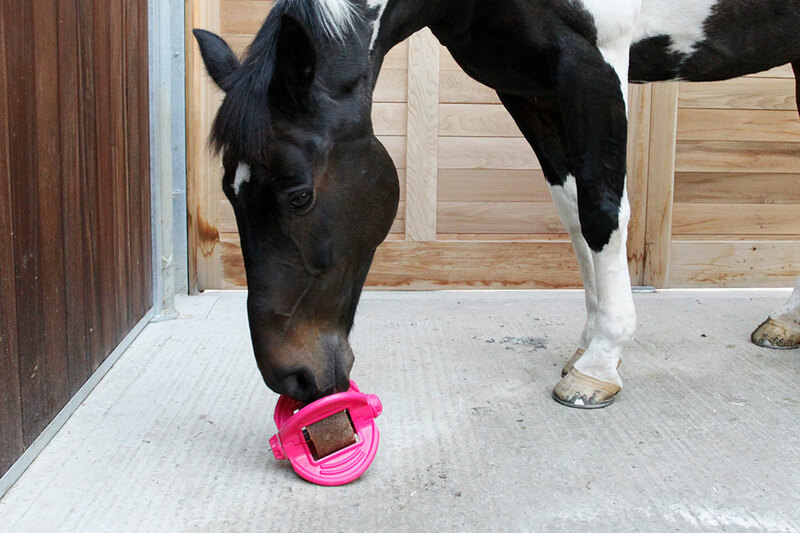 Use on the ground, hanging or in our wall-bracket to keep your horse entertained for hours. Our innovative aromatherapy sponges will keep them Bizzy long after the lick has been consumed. Our refills are rock hard so are much longer lasting than our competitors. The only multifunctional horse toy on the market presenting the ultimate challenge for your horse. Designed to cope with the most enthusiastic of Play. Ideal for horses on box rest.